I perform under the stage name, “Jersey Jim,” and you may have seen me in the major motion picture, “Couples Retreat,” (albeit briefly!). It was an honor to be picked from all the other magicians in Los Angeles by Universal Studios and Vince Vaughn to appear in the film. Who would benefit from these essays? Anyone who needs to decide between which of the many available local magicians they should hire to entertain their children. This would typically be parents looking for a birthday party entertainer. However, it could be any situation where children need to be effectively entertained: a church function, holiday party, preschool or elementary school event etc. First of all, NO!, children’s magicians are not interchangeable. There is quite a range in the quality of professional magicians, and making a wrong choice can make or break the success of your event. This is especially true of kid magicians, perhaps, because entertaining children doesn’t necessarily require the level of magical skill or expensive equipment required of other magical performers, which makes it an easy niche to enter from the point of start up costs. This is not to say that there aren’t kid magicians who are just as expert at sleight-of-hand as any of their colleagues who perform for adult audiences, or other kid magicians, like me, who offer children show packages which boast beautiful curtains, sound systems, music, expensive props. But since this level of technical skill and equipment is not a prerequisite, it often leads to people entering the field without much experience. These are often the hobbyists who are looking for some extra cash they can earn on weekends. Then there are the agencies who book clowns, characters, balloon artists, and, often last on the list, ”magicians.” Again, these are often low-paid performers, who are working for even less than you are paying them and who are almost always part-timers. You will many times see people who are putting themselves through school in these roles. 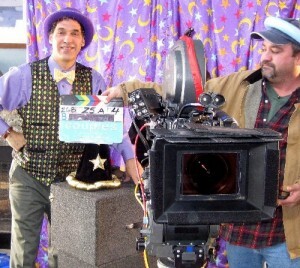 In Los Angeles, you may find out-of-work actors showing up as little Johnny’s birthday magician, while they are really daydreaming of landing that choice role at the next audition rather than knowing how to deal with the very shy birthday girl who is afraid to come up and help the magician. Or even more challenging, knowing how to expertly handle the older boy who feels the need to shout out that he knows how every trick is done. That guest could ruin the birthday show of an inexperienced magician. Needless to say, the old adage, “You get what you pay for” applies. I remember an occasion when a client who had used me many times in the past invited me to perform at the birthday party of a major motion picture star. This client confidently told me that they were not going to pay me anything because they were doing me a huge favor by giving me this opportunity. I immediately turned down the “job” to their surprise. I asked them why, if this client of theirs was so important, they would want to skimp on my fee at the risk of entrusting this special event to a performer who wasn’t happy to be there? I told them that when I hire a performer for my own child’s birthday party, I want them to be paid well, and I also let them know that they can expect a healthy tip to boot. I want them to be happy in their work because my priority is a good show for my son and our guests at his once-a-year birthday party! That is more important to me than $100 one-way or the other. The outcome was that my client agreed to pay my normal, reasonable fee and I am glad to report that their famous client was extremely happy with the performance, and they got all the credit for finding this great magician. Something my mother taught me years ago applies here. Mom said, “You’re paying most of the money even if you get the cheapest one. Why not pay a little bit more and get the best? Mom explained that if the cheapest doesn’t work out, you will not have saved a little money, you will have wasted most of it! For example, say you really like “Magician A” because he’s so funny in his YouTube videos and you like how he sounds and what he says over the phone. However, “Magician A” charges $250 for a birthday party, whereas another magician you’ve found, say “Magician B,” only charges $175. So your spouse says a kids magician is a kids magician and you hire “Magician B” because he charges $175 instead of $250. So what’s the problem with that? The problem is that you hired “Magician B” not because you thought he was so great but really because he was cheaper. So, since you didn’t follow your instincts or your better judgment in making a choice you open yourself to the possibility that “Magician B” might not be so good. What if “Magician B” shows up late, and he’s not so friendly, and worst still, he’s BORING! The worst sin of all. Even if “Magician B” is technically proficient and responsible, I must tell you in all frankness that many competent magicians are not equally competent as entertainers—to put it mildly. C’mon, most of us were those geeky guys in school with no social life who used to walk around playing with a deck of cards because we couldn’t get dates. Ouch! Don’t get me wrong. I’m not saying that “Magician B” might not be good enough. He might. However, it is true that he wasn’t your favorite choice so you are opening yourself up to this possibility. Do you want to risk that possibility? Isn’t your event worth paying $75 more to make sure you get the best chance of success? To finish the example: so you thought you had saved $75, but in reality you haven’t saved anything. In reality, you have wasted the $175 you paid for “Magician B,” and, worst yet, you have ended up with a less successful event. Mom knew best. Another thing to be aware of are the magicians who specialize in performing for adult audiences but are passing themselves off as children’s magicians. These colleagues are accomplished at entertaining adults but don’t have a clue how to make kids happy. They are motivated by the desire to fill their calendars with paying gigs and are cashing in on the children’s field. You will sometimes see close up adult magicians showing up with a deck of cards and trying to amaze kids with card flourishes and pick-a-card tricks which always floor their adult audiences only to find that the kids are already back into the jumper after five minutes. That stuff may be impressive and mind numbing to adults but to kids, it’s just numbing. Are you kidding? Kids don’t even remember what cards they picked! They can’t tell one suit from another. Mr. Mystery may dramatically proclaim, “Name your card!” and the kid will respond, “It was black,” or “It was a nine.” That’s if they remember the card at all or they haven’t already gone back to the jumper out of boredom. 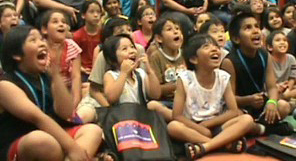 It takes very specific knowledge to understand how to entertain children at all let alone to the level where you will see kids beaming with joy from the unique emotional experience that a qualified and experienced children’s magician can give them. Now, if the cards come vomiting out of the magician’s mouth (as I do), then we’re getting somewhere! 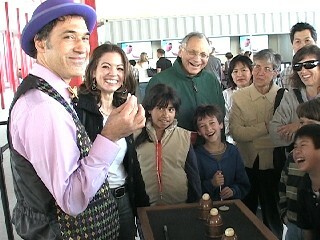 Again, this is not to say that there aren’t a few magicians who are capable of entertaining both adults and children. These guys know how to play to a diverse family crowd. They even know how to keep teenagers engaged, laughing, and feeling good about themselves! Entertaining teenagers is the greatest trick of all by the way! We call that type of mixed crowd “un-level headed,” because everyone is of different heights. 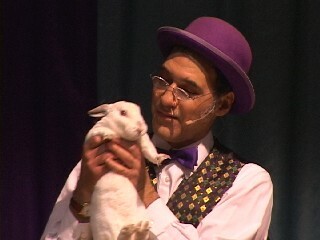 The magician who can effectively entertain a mixed crowd is a rarer breed and most children’s magician actually stay away from adults, just as most adult performers avoid kid shows like the plague. Jim Street Performing–all ages are entertained! knowledge and experience to be able to play to all ages at the same time. My street performing experience gave me thousands of hours in front of live audiences of all ages, backgrounds, and cultures who would leave if I was momentarily boring. It was an invaluable experience that has contributed greatly to the performer I am today. I will never forget watching a supposed children’s magician on stage at large event. He came out and started this long winded, never ending verbal set up for his first trick and I rolled my eyes because I knew the kids weren’t getting it and nothing was happening but talk, talk, talk, and finally, this little girl shouts from the audience, “Are you even a magician? !” The guy didn’t even have a come back line! 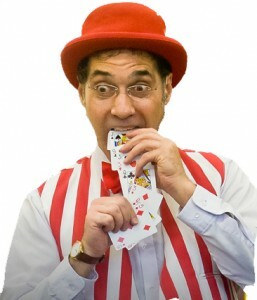 I hope this first installment has given the reader some beginning guidelines in picking a children’s magician for your next event, has highlighted a few things to look for and what to look out for. The number one piece of advice I can give is: follow your instincts when choosing a birthday magician! In the next essay, I will start explaining some of the very definite techniques and methods that the most effective kid magicians employ. Armed with this knowledge, you will be able to listen to a prospective magician and tell if he knows as much as you do about how to entertain that most difficult of all audiences: children. If you found this article helpful, please share it on Facebook by using the buttons below. 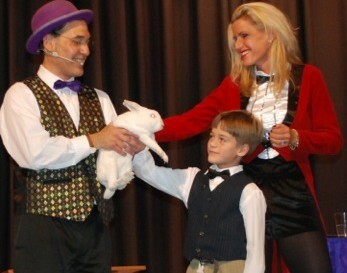 How To Pick A Children's Magician? After pulling back the curtain on what goes into a successful children’s magic show, I hope the reader will become a better-informed consumer. 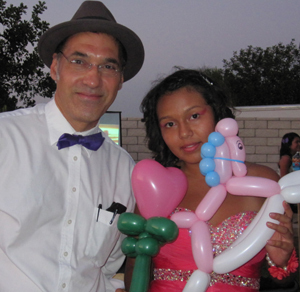 They will understand what questions to ask a prospective entertainer so that they can feel confident and be more successful when choosing which magician will be the right fit to make their birthday party or other children’s event wildly successful.